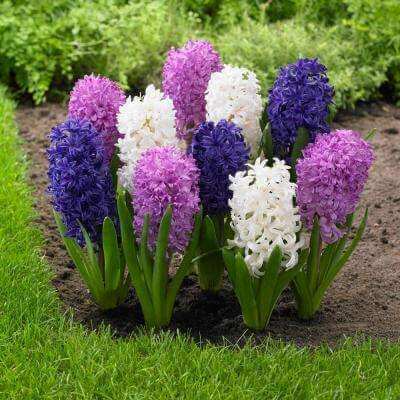 Hyacinths are known for the very sweet, lingering scent and are very popular in gardens all over the world. Hyacinth bulbs are planted in the fall and they will bloom in early spring. Perfect for planting directly into the garden or even in a pot, hyacinths make the most beautiful garden decorations and will engulf your entire garden in their sweet scents. Today we will show you how to grow hyacinths either in a pot or directly in your garden! Start by planting hyacinths in the fall. Hyacinths are purchased in bulbs from your local nursery. Plant the bulbs 4 inches deep and at least 3 inches apart. 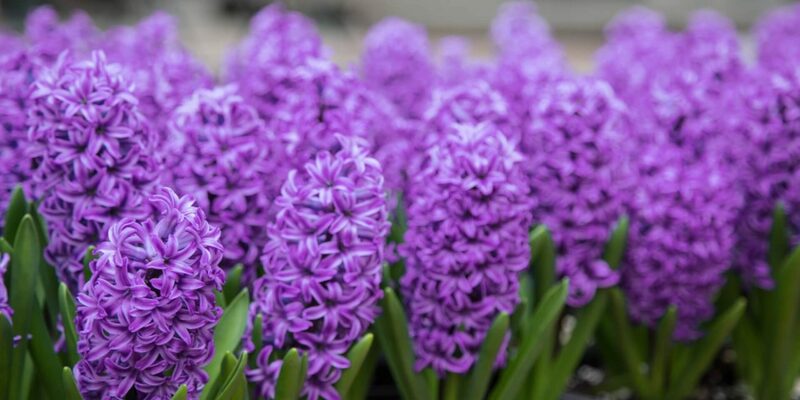 Place your hyacinth bulbs in well drained, fertile soil, and in sun or partial shade. For fertility, loosen the soil and work in compost or bonemeal. Place the bulb in the hole with the pointy end up. You can force early growth so that you can have beautiful hyacinths in the winter. Plant them with the tips just showing in a pot with potting mix. Keep in a dark place at above freezing temperatures for at least 10 weeks so that the roots developed. Once shoots are about 1 inch long, increase light and temperature gradually. Water slowly avoiding wetting the shoots. After they’ve flowered, you may plant them in the garden. How to Grow Hyacinths was last modified: June 6th, 2017 by Aniela M.